Lebanon broke its own record as the country clocked 546 days without a president on its 72nd Independence day on November 22, 2015 . The Lebanese parliament failed again today and for the 32nd time in a row to elect a president to replace Michel Suleiman whose term ended on May 25 last year. As in the past sessions the parliament was unable to reach a quorum because the Iranian-backed Hezbollah militant group and its ally MP Michel Aoun’s Change and Reform bloc MPs boycotted the session. 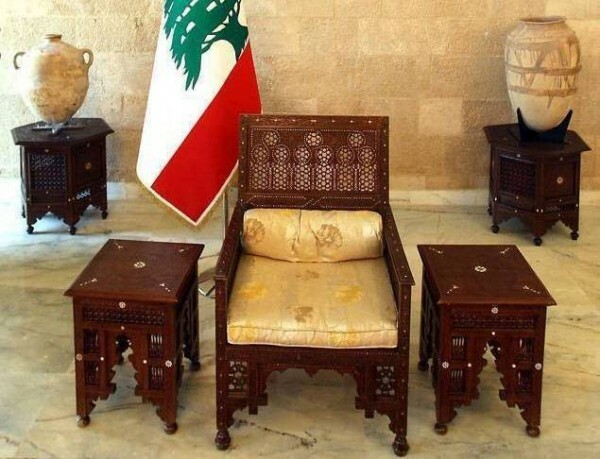 Speaker Nabih Berri a key ally of Hezbollah postponed the election to to December 16 . Iran is being blamed for the presidential vacuum by Lebanese Forces leader Samir Geagea who was the first to announce his presidential candidacy. Marada Movement chief MP Suleiman Franjieh emerged recently as a potential presidential candidate after visiting former PM Saad Hariri in Paris . But Aoun reportedly rejected his candidacy and Hezbollah went along with Aoun and declared that the FPM leader is its sole candidate . This is despite the fact that Franjieh is a key member of the Hezbollah -led March 8 alliance and the closest to Syrian president Bashar al Assad. Franjieh visited PSP chief MP Walid Jumblatt at his residence in Clemanceau. Prior to their meeting he told reporters that Hairi is very serious about his candidacy and trusts everything Hariri told him. “My nomination has not become official until the moment and I believe that Hariri is 100% honest in his support for me and that he was serious in everything he said,” Franjieh said. Franjieh stressed that his possible nomination will not affect the unity of the March 8 camp and that the camp will not head to the parliament to elect a president unless it is united. “General Aoun is a friend and we have come a long way together and we will stay together. I believe that national accord is more important than us all and we will only be together with General Aoun,” Franjieh said. Asked about the electoral law for parliamentary polls, the Marada chief said he has no control over this issue. “We will meet halfway and put ‘Lebanon first’ as our objective, seeing as the living conditions (of Lebanese citizens) are the important issue nowadays,” he added. Boycott Update #32. See you next month with #33. And trust me, Georges …. No-one knows Lebanon’s Interests. Lebanon’s Maronites have seemingly decided to finally destroy what’s left of their political influence. And it evidently ain’t much.